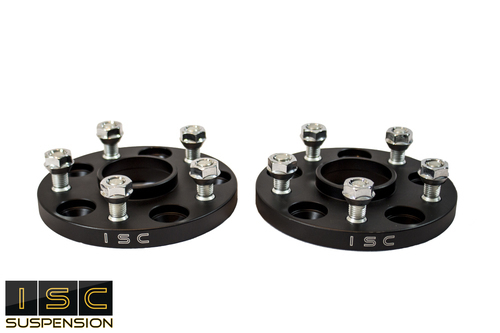 Despite popular belief, wheel spacers are a completely safe modification for your vehicle. We have gone into detail as to why that is the case in our “Are Wheel Spacers Safe? – Truths & Myths – Wheel Spacers” article. This is no different for our Mazda & Mitsubishi Wheel Spacers. Each spacer is 15mm width, and is hub centric which means no hub rings are required. Each purchase is sold in pairs and comes with our unbeatable warranty. Each and every wheel spacer is made of CNC 7075 light weight high grade aluminum (5×114.3, Hub Bore 67, 15mm Spacer) while the hardware is M12*1.5, Grade 10.9.